Corral 360, one of the leading producers of bicultural content for Hispanic millennials, announced the digital-only debut of reality series “Los Cowboys” on Univision.com. Beginning June 6, the Imagen Award-winning show will be available on Univision.com, the most-visited Spanish-language website among U.S. Hispanics. The show follows the life of Latino Angelinos as they balance their personal lives with the hope of making a name for themselves in the world of charrería. 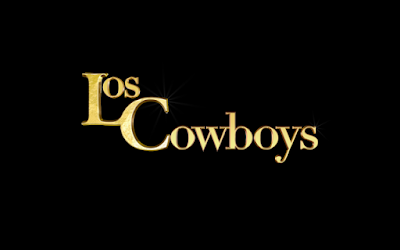 The original cast of “Los Cowboys” is back along with new cast members Francisco, also known as Popillo, and Adriana. “Los Cowboys” will also feature special cameo appearances by Chuy Bravo, Danny Trejo, Diego Herrera, Vicente Fernandez Jr. and Univision’s “Despierta América” personality William Valdes. This season kicks off with Alex and Marisela as new and proud parents. After meeting Adriana online, Rob is no longer the “eligible bachelor” that he once was and finds himself with more responsibility than he bargained for. Joey is not sure whether he should continue pursuing a career in music or move on. Ivette has decided to focus on her modeling and acting career, but a friendship that quickly turned into a serious relationship might interfere with her dreams. Team captain Ralph is eager to compete once again with the big leagues at the national championship in Mexico, but he finds out there is another team Captain. "Our goal at Univision is to ensure our audience has access to quality and diverse content, that’s in culture and relatable across any platform. We are thrilled to offer our viewers precisely that through exclusive access to ‘Los Cowboys,’ a wildly entertaining award-winning series that provides a window into the exciting and fascinating lives of today’s bicultural Latinos,” Emilio Aliaga, VP Digital Content, Univision Communications, Inc, said. “Los Cowboys” is sponsored by RAM Trucks, Anheuser Busch and Fiat. You can watch the series on univision.com/loscowboys. Corral 360 is a production company, targeting Hispanic millennials with high quality, general market content for a complete in-culture experience. Corral 360 also is developing other properties in the reality and scripted comedy genre, as well as drama series. For more information, visit: corral360.com.